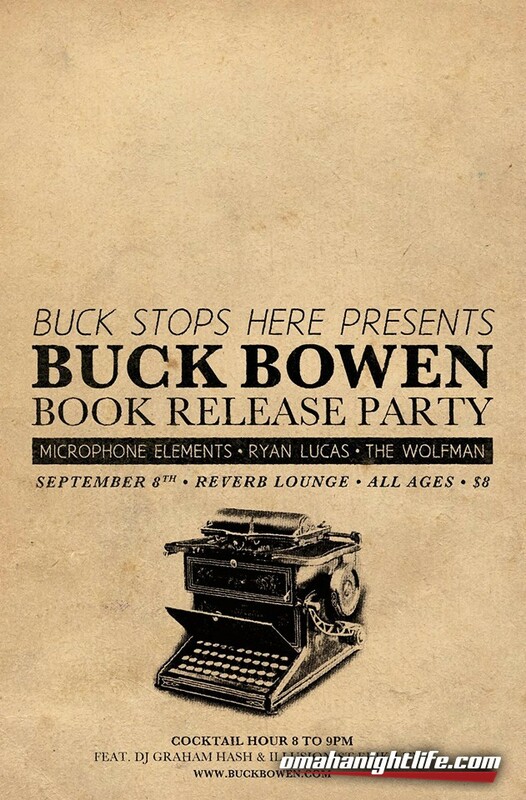 The annual Buck Stops Here event returns to Reverb Lounge in celebration of Buck Bowen's book release. Buck has released one song and video every Monday for over 66 weeks straight. His book is a behind the scenes look at his journey. 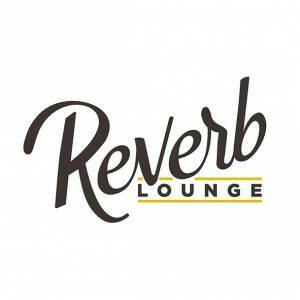 Cocktail hour begins at 8pm with drink specials, funky DJ Graham Hash, and illusionist Erik Luna. 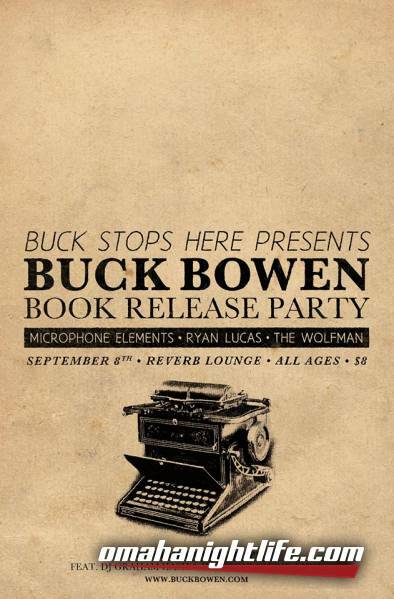 Show begins at 9pm with performances by the power duo Microphone Elements, D.C. native Ryan Lucas, Omaha legend The Wolfman, and of course, Buck Bowen!